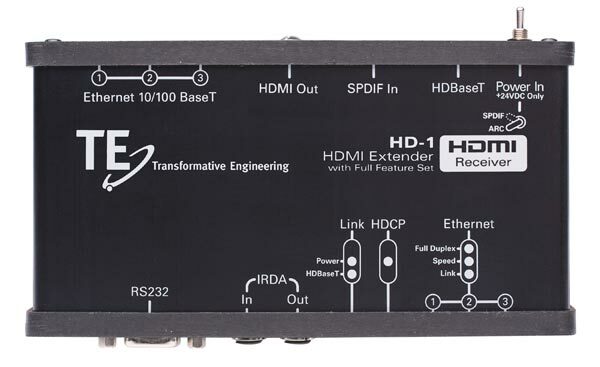 Continuing upon our remarkable “Omni-Balun” product’s design philosophy, our newest creation, the “Omni-HDMI Extender” incorporates every current HDMI Feature, including 1.4a-exclusives like 3-D, 10/100T Ethernet Channel (HEC), Audio Return Channel (ARC), and 4K x 2K Support. 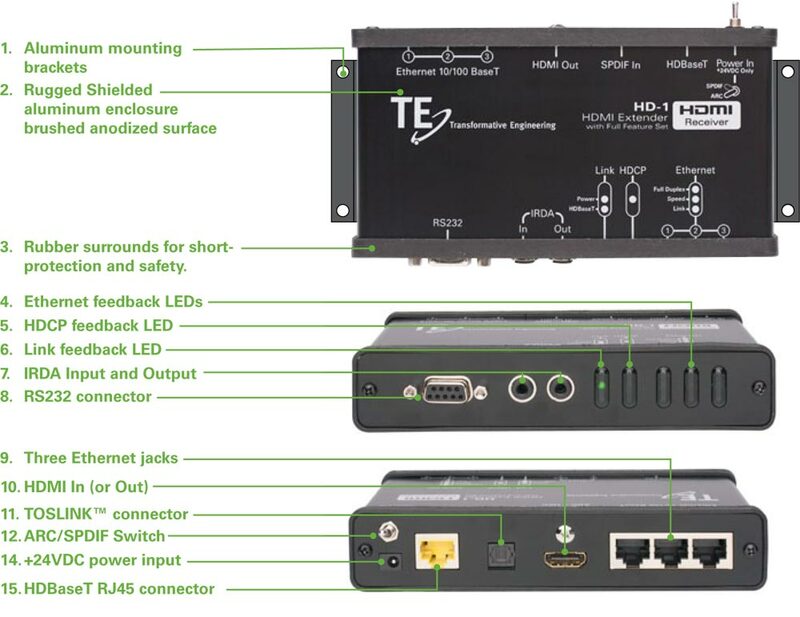 This is the first HDMI Extender to offer all HDMI 1.4a Features. In addition, we are proud to offer features not available elsewhere, including built-in 3-way Ethernet Switch, Fully Active (9-pin) RS-232 Control, multiple IR brand compatibility, TOSLINK™ Audio Output, and One Power Supply for ease of installation. Designing the HD-1 began with application driven requirements from our own Installation Team, followed by our Engineering Department’s development and testing. Our manufacturing facility is monitored by our personnel to insure the highest level of performance, quality, and reliability. The result is products that you can be proud to sell, install and show to your clients. When was the last time an “accessory” became a source of pride for you and your clients? That time is now, and Transformative Engineering is proud to bring it to you.